Vanguard VEO 2 235AB Tripod Review by Landscape Photography Magazine follower and landscape photographer Nicholas Parker. Vanguard VEO 2 235AB Tripod Review by Landscape Photography Magazine follower and landscape photographer Kyle Jones. Sigma’s new 20mm f1-4 DG HSM Art lens has been eagerly anticipated. Mark Bauer has taken it on location for a spin and tried it on astrophotography. 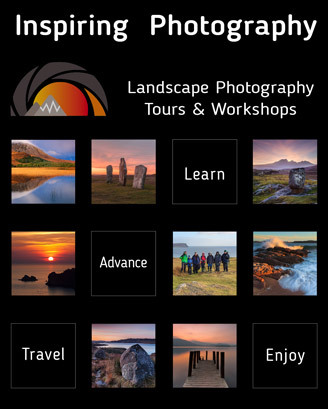 Are you looking for a unique new way to display your landscape photographs? Keith Briley gets to grips with a 3D Art Wall from Avenue Artwork. A quality tripod and ball head are necessary to a landscape photographer. Keith Briley puts the Giottos YTL 8314 Tripod & MH 1300-657 Ball Head to the test. The Tenba Shootout looks like a durable camera bag and looks good with plenty of storage. However, is it a comfortable backpack and is it worth its price? We all know what we want a tripod to be: solid, very sturdy and of high quality. So, we asked Mark Bauer to run a field test. Here are his thoughts.